Start your vacation in a luxury SUV four-wheel-drive airport ride with leather seating, bottled water, and up to a 30-minute stop en-route for groceries, etc. on all DIA Arrival Charters. The luxury SUV picks you up curbside with no wait time at DIA to your vacation destination door stop. Sit back, relax and enjoy the ride. 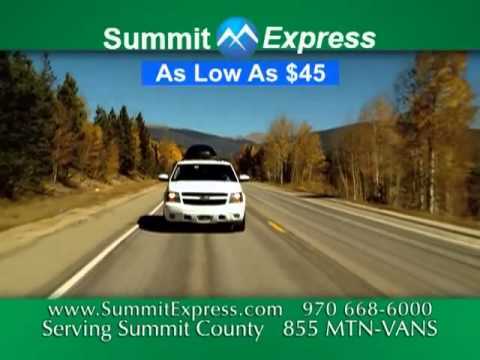 Available to all Colorado destinations 24/7 and seats up to 5 passengers.